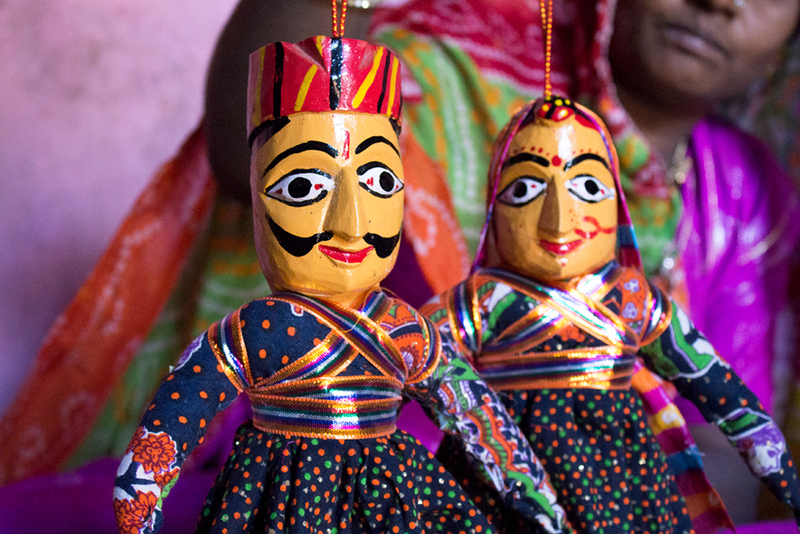 Kathputli that means a puppet which is made from wood. 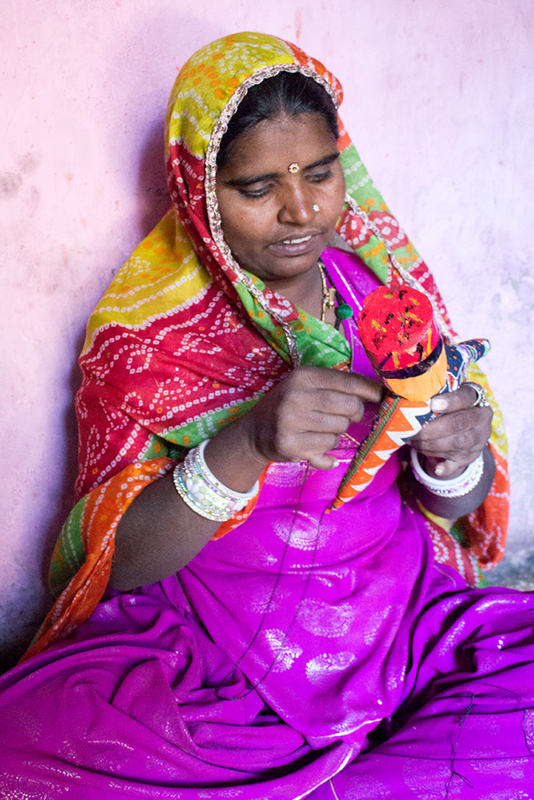 Whereas the words kath means ‘wood’ and putli means ‘a doll or toy’. 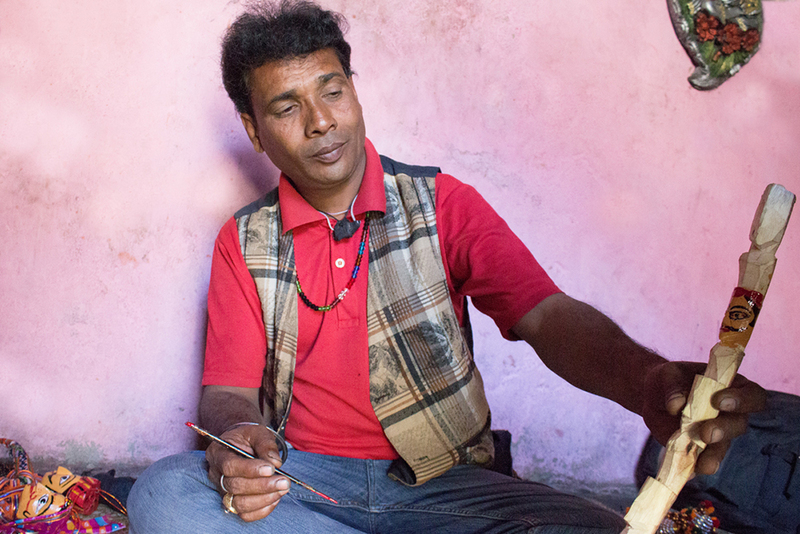 The craft of making Kathputli, was practiced by a community of performing artists. The stories that they portray through the Kathputlis have been passed through the words of mouth from parents and grandparents. These performing artists travels from place to place by carrying their portable theatres and entertaining gatherings with the portrayals of the adventures of native heroes in exchange for reward in cash, livestock or a portion of the sponsor’s harvest. This form of entertainment became popular with the royal courts, the community people settled in different kingdoms by developing puppets in the image of the ruler, the queen and the members of royal court such as the court dancer, snake charmers, acrobats, ministers and magicians and narrates a story of the king’s bravery, kindness and numerous conquests. They are prospered under the benefaction of kings like Vikramaditya, prithviraj Chauhan and Amar Singh Rathod. Primarily ‘Putli Bhats’ discovered this art form. Kathputli art form was not only the source of entertainment but also they taught society the social and moral education. The act portrays a major social issues like dowry system, women empowerment, unemployment, poverty and hygiene. The best thing about the act was they just not portrayed the problems but also provided the solution to tackle these problems. A special stage is designed by the puppeteer for the show. Going back in the Kathputli history, the legendary that was created by the first Bhat was based on the livelihood and achievements of the Great King of Ujjain, Vikramaditya. This show involved the act of 32 kathputlis or puppets and the show became remarkable and famous. It was the medium through which they earn their bread and butter. Kathputlis are the string puppets which are controlled by strings that passes from the top of the puppets and manipulated by the puppeteer. Kathputli involves peppy colours, sharp facial features, dexterous moves, squeaking voices in a typical traditional attire, performing in front of the viewers. Artisan Mr. Ramesh Bhat basically from Rajasthan but he settled in Ahmedabad, who got this unique skill of making Kathputli from his ancestors. He involved in making Kathputli from past 25 years. 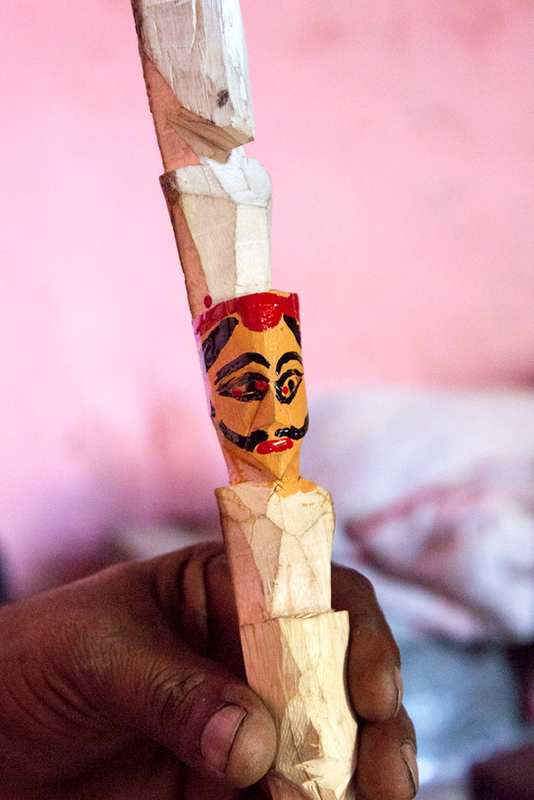 Artisan not only sell the Kathputlis, he also does puppet shows in various places.